Did Apple's iPhone Redefine Photography? Did Apple redefine photography with the iPhone? While diehard photographers will question just how much you can get done with an iPhone, there is no denying that the camera has steadily developed over time and, if you subscribe to the notion that the best camera is the one you have with you, the iPhone may well be the best camera in countless pockets around the world. 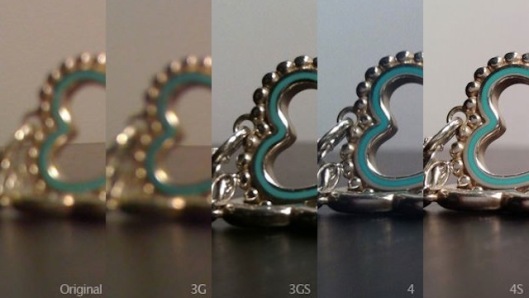 We can see just how much the iPhone camera has improved with each model thanks to Lisa Bettany of Camera+, who posted an interesting comparison of the various models starting with the original one, all the way up to the iPhone 4S. You can see in her image below just how much the camera has improved and is very well a force to be reckoned with. In September, Nikon’s Facebook page was blasted with comments after a misguided post stating, “A photographer is only as good as the equipment he uses,” stirred up quite a bit of controversy. If we were to play the devil’s advocate and pretend that the statement is true, where does that leave iPhone photographers? When it comes to smartphone photography, we can safely say that the iPhone 4S puts its users in a pretty good position, not only because of the quality of the camera, but also because of the huge variety of apps, and accessories, which photographers can take advantage of. Besides the limitless photography apps available both for free and at a minimal price in the iTunes App Store, there is an incredible amount of interesting add-ons you can use with your iPhone, to enhance your iphoneography. Add-on lenses like the Fisheye and Telephoto lenses won’t cost you more than $35, and the $25 Holga iPhone Lens Kit (reviewed here) will give you a ton more options. If you’re really serious about your iPhoneography, Photojojo’s SLR mount will set you back a hefty $249, but will allow you to use your existing lens set with your iPhone. The very fact that these accessories have been created prove that Steve Jobs achieved exactly what he set out to do. While other smartphones might have better cameras, higher megapixels, and better lenses, for some reason, the innovation surrounding these products does not compare to the iPhone. So the question is, can you really compare the iPhone camera to an SLR? Digital Camera Beginner put a Canon 500D to the test, alongside the iPhone 4S to discover how the cameras compare. The iPhone 4S held its own in most instances, and the final conclusion is an interesting one. If you’re not planning to kit yourself out with a bunch of different lenses, and are more likely to set your SLR to auto and let the camera do all of the work – the iPhone 4S will more than meet your needs. If on the other hand you want more control over how your images appear, the iPhone 4S will only make for a somewhat frustrating experience. The real comparison to be made is not with an SLR but rather with digital point and shoot cameras, and this is when the iPhone 4s is a clear winner. Not only is the camera quality impressive, in the age of social media and (over)sharing, it couldn’t be easier to get your snaps straight from your phone onto Facebook, Twitter or any photo-sharing site your heart desires. Some might say that the iPhone has certainly reinvented photography but not for the better. With the rise of apps like Instagram, Hipstamatic, PicPlz and countless others, filtered smartphone photography has dominated social networks much in the same way that the iPhone has dominated Flickr. The problem with apps like Instagram is that some people take photographs of things they normally wouldn’t, slap a filter on it, and think it’s fit for sharing. Whether this is Instagram’s fault or not really comes down to opinion. Would those people be just as likely to share photos taken in front of the bathroom mirror, photos of their breakfast, pets, and more? They probably would be, but Instagram has certainly given them that vehicle which makes it sound like a good idea. That may be the main problem that Instagram poses – the vast disconnect between the actual and believed quality of the image. Instagram’s power is in the fact that it creates a communal experience. Part of the allure is the filters, which are possibly among the very best available in any smartphone app, but what good are shared photos if no one is looking at them. Apps like Instagram create an opportunity to share images, but when we take a closer, more professional look at them, do they still meet the grade? Foreign Policy certainly seems to think so. It published a series of photographs from Afghanistan taken by photographer Balazs Gardi using nothing more than his iPhone, loaded with the $0.99 app, Hipstamatic. If Foreign Policy’s series of photos prove anything, it’s that, if put in the right pair of hands, or in the right location, the iPhone, together with apps like Instagram and Hipstamatic, can truly create stunning, artistic and lasting photography. With each new handset, Apple’s iPhone has shot to the top of the list of the ‘most popular camera’ on Flickr. It happened with the iPhone 4, and, most recently with the iPhone 4S. In fact, if you look at the top 5 most popular cameraphones on Flickr, four out of five them belong to Apple. The fact that the iPhone not only beats out all other smartphones, but also beats out both SLR and point-and-shoot cameras on Flickr gives us a very relevant piece of information on how the iPhone is being used as a camera. Flickr continues to be a huge repository for creative commons images and is still popular among many photographers. But it isn’t all good news for Flickr. There has been not only a steady migration towards alternatives like 500px, some professional photographers like Thomas Hawk have also been very vocal about their disappointment, and rightfully so, with how stagnant Flickr has become as a service. Flickr is a convenient option for getting photos straight from your iPhone to the Internet, and has dominated the photo-sharing space for years. Like Instagram, there’s a community. There are groups, users have built connections, and have developed a following. For the purposes of someone who is sharing their day-to-day snaps taken using their phone, on the go, Flickr continues to meet their needs. For photographers who are concerned with how their photos are displayed, or are concerned with a certain standard of quality, Flickr is simply no longer the place to be. By extension, the iPhone, while it can be used for more, is a great option for day-to-day photography, getting shots on the go, and sharing them online at the click of a button. The iPhone, and to a lesser extent, other smartphone brands, are slowing but surely digging into the point-and-shoot market. And this isn’t the only market that has been affected. With the iPhone’s impressive video capabilities, the iPhone 4 has already proven to be a formidable opponent to the Flip Video as was seen with the movie Apple of my Eye, shot and edited entirely on an iPhone 4. 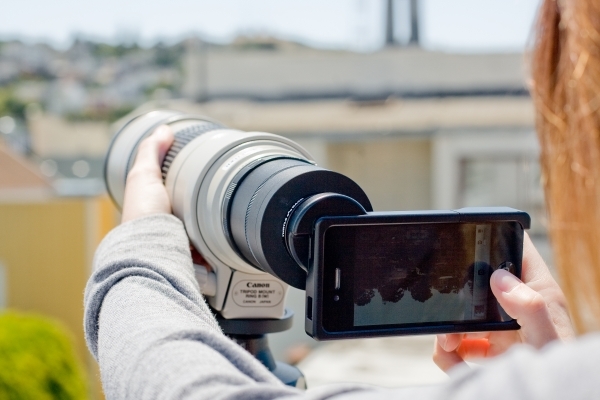 Again as is the case with photography, users can shoot, edit and post impressive videos directly from their phones. When it comes to choosing between an iPhone and point-and-shoot camera, or a flip video, the convenience of having all of those tools in one device makes the decision a no-brainer, and in so doing, you’ll also save money from having to buy several gadgets. What do you think? Will the iPhone and other smartphones eventually do away with the need for point-and-shoot cameras? Did Apple redefine photography with the iPhone? Let us know in the comments. If you’re looking for some tips on how to improve your smartphone photography, be sure to check out our guide.